Are you a fan of Emeli Sandé? Have you followed her rise to fame from early collaborations to singing at the opening ceremony of the London 2012 Olympic Games? Do you know all the words to Emeli’s soulful lyrics and like to sing along? If so, you are certain to enjoy this informative new quiz book all about the multi-talented singer-songwriter.What award did Emeli win at the 2012 Harper's Bazaar Women of the Year awards? Where in the UK was Emeli born? What is unusual about Emeli's music video for her 2012 single 'Clown'? 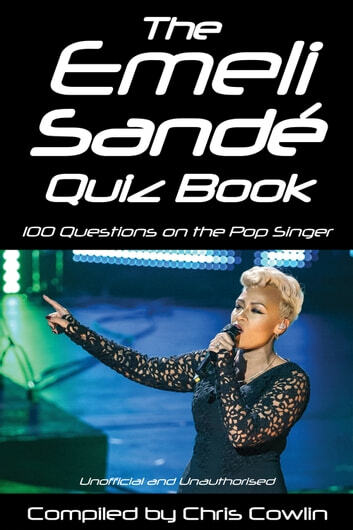 The answers to these questions and many more like them can be found in The Emeli Sandé Quiz Book.Packed full of facts about Emeli’s amazing career to date, this quiz book contains 100 questions about the award winning star and covers all aspects of Emeli’s professional life as well as many personal details. 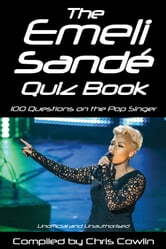 This is a must-have book for anyone who enjoys the music of Emeli Sandé or would like to find out more about her. One Direction: Straight to the Top!